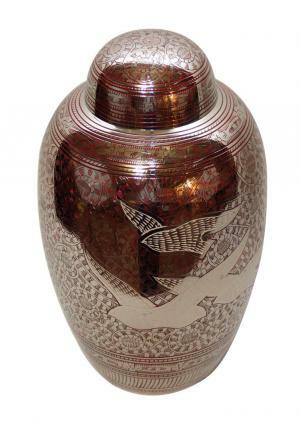 Mid sized 7” inches tall doves going home cremation urn is beautifully brushed to create gentle sheen with detailed engravings of the going home doves in flowered creepy red arching behind the doves. 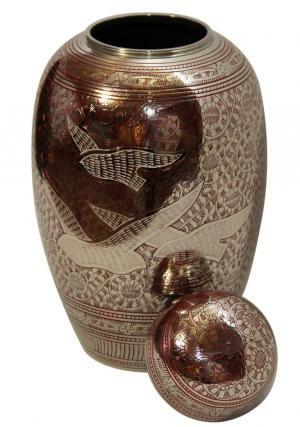 The flying doves represent peace from souls of the cremated and has a reflecting finish. 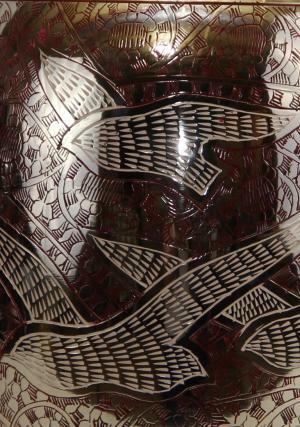 The medium sized funeral urn has a red enamel finish with curving from skilled handcrafters. Memorial urn with the dome top has a threading to secure the ashes of the cremated and for an easy closure. 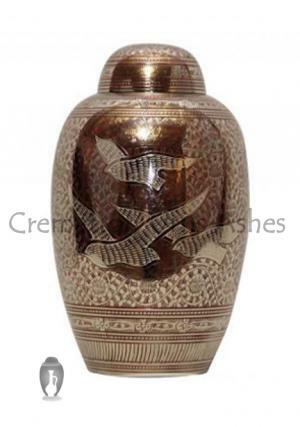 The medium sized memorial urns makes it a perfect present to honour the demised and rest them in peace. The mid sized urn measures to 6.69” inches tall, 5.12” inches width that weighs around 1.08 Kg to carry 90 cubic inches of ashes from the cremation.